Early music has rarely sounded as chic or brilliant! Nevermind is rewriting the rulebook on performing Baroque music, with wondrous skill and no pretension. 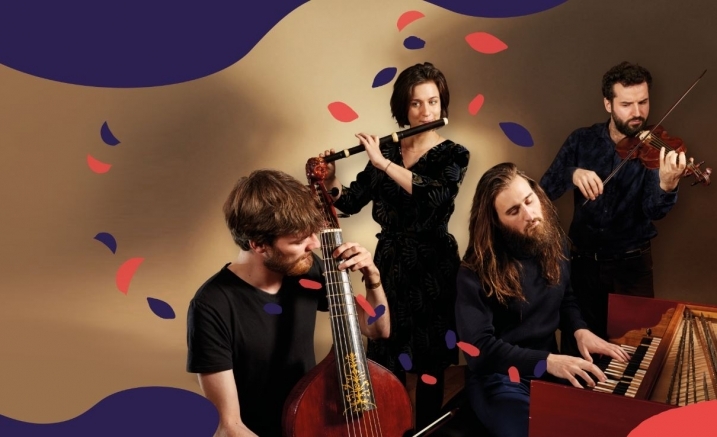 The four musicians of French ensemble Nevermind – combining flute, violin, viola da gamba and harpsichord – met and founded their group while they were students in Paris, with each of them sharing a love of the Baroque and traditional chamber music. A breath of fresh air in today’s classical music scene, they are rewriting the rule-book on period-instrument concerts with a thoroughly engaging mix of virtuoso expertise and unpretentious charm. Delighting audiences across Europe in prestigious festivals and concert series and making their Australian debut with Musica Viva, Nevermind is disarmingly relaxed and unpretentious and thoroughly dedicated to the universal appeal of good music.